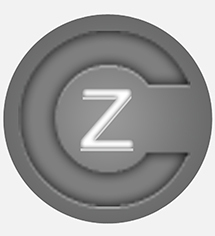 A: Compu-Zone.co.uk is an independent company that has no affiliation to any other brand, company or corporation. We have over 16 years experience in internet retail, we offer great value products and take pride in our customer service. Q. If I purchase a refurbished computer or laptop, what condition will it be in? A: All of our refurbished computers and laptops undertake a detailed and thorough reconditioning process. We run extensive hardware diagnostic tests to ensure all the components are fully functional. Hard drives are securely wiped to the highest levels. (MOD Standards) and any components showing signs of wear or stress are replaced. Some computers/laptops may have slight marks and scratches on their cases but these will be cosmetic only. We pride ourselves on only selling the highest quality refurbished products. A: We offer free delivery to Mainland UK (upto 10 working days) and a 2-6 working day delivery for £7.95. There is also a Next Day delivery option at a rate of £9.95 for certain product lines. Please note bulk orders and upgraded systems may take longer to process no matter what delivery method you choose, however they will still be prioritized according to what delivery method has been chosen. Q. Who will ship my goods? Q. How long does it take for my goods to arrive? A: This depends on your chosen delivery method. Free UK Delivery can take up to 7 Working days, Standard drlivery is 2-3 working days. As soon as your item has been dispatched and is with our couriers, you will receive an email confirming this along with tracking information which will give you a scheduled delivery date. Q: What if I am out when the courier company try to deliver? A: We offer 12 months RTB warranty on all refurbished desktops and 6 months warranty refurbished Laptops (unless otherwise stated) This does not cover batteries on refurbished laptops. For more information on warranty issues please click visit our customer services page and scroll down to "Returns and Warranty" information. Q. I am about to purchase an item but need to speak to someone first regarding a query? A: Please feel free to talk to one of our LiveChat agents by clicking the yellow button at the bottom right hand corner of your screen. Q. Is it safe to buy online? A: If you do not have an account then you can create one by clicking "My Account" on the top navigation links on our website, you also get the option to create a new account during the ordering process if you do not already have one. Please note that this is not a necessity, and you can purchase anything on our website without the need of creating an account. A: We accept Visa, Visa Debit, Visa Electron, Mastercard, Solo, Maestro. Attention Gamers: Keep your graphics card drivers up-to-date! I have a message saying "Windows is not genuine"